Yesterday, Judge Nora Barry Fischer issued her opinion in the Carnegie Mellon University v. Marvell Technology Group, Ltd. patent infringement lawsuit in the United States District Court for the Western District of Pennsylvania (Case No. 2:09-cv-00290-NBF) and awarded an additional 23% in enhanced damages above and beyond the jury’s $1.17 billion award. In total, with all enhancements and interest awards, Marvell is facing at least a $1,535,889,387.60 damage award with an ongoing $0.50/chip royalty for the lifetime of the patent. The jury returned a $1.17 billion award in December 2012, finding that Marvell willfully infringed two of CMU’s patents (U.S. Patent Nos. 6,201,839 and 6,438,180). 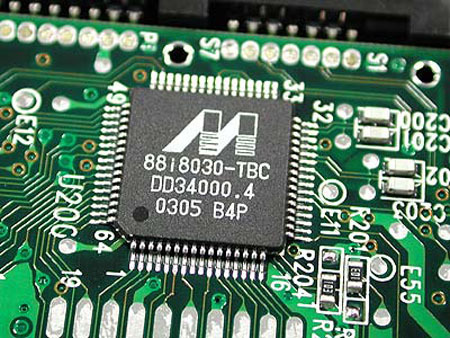 It awarded a royalty of $0.50 per chip Marvell sold using the patented technology. In September 2013, the Court denied Marvell’s post-trial motions and determined that Marvell’s infringement was willful. The Court yesterday determined that some enhancement of the damage award was appropriate, although not to the extent requested by CMU (who wanted an additional 200% in damages). In weighing the parties’ arguments as to whether the damage award should be enhanced, Judge Fischer appeared to focus primarily on three factors. First, she was concerned that a double or triple award of damages could cripple Marvell. Second, she was concerned about CMU’s “inexcusable” delay for almost 6 years after learning of Marvell’s infringement before taking action. Finally, she balanced these factors against Marvell’s willful infringement and its actions before CMU filed suit. Weighing all of these factors (and the others under the Read test), Judge Fischer concluded that a 23% enhancement properly balanced all of the relevant interests. In this decision, Judge Fischer also awarded damages on the sales of additional infringing products that were not part of the jury’s verdict but occurred before entry of judgment (this was uncontested), established a post-judgment royalty rate of $0.50 per infringing chip sold, and set a 0.14% post-judgment interest rate. She denied CMU’s motion for a permanent injunction and for prejudgment interest, finding that neither were warranted under the circumstances. Given the amounts at issue, one expects that these decisions will not be the final word in this case, and that at least the Federal Circuit will be looking at this case on appeal.